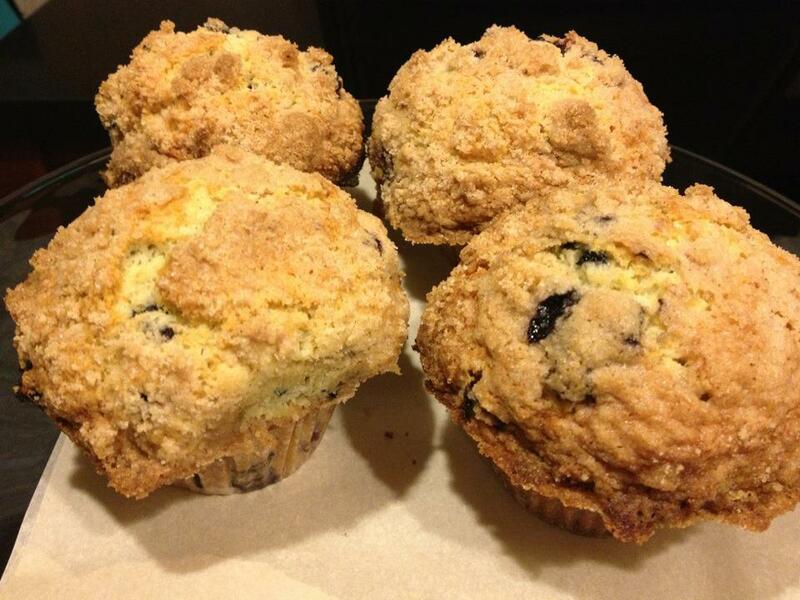 Blueberry Muffins – PUT THAT IN MY FACE. 2. Combine your muffin dry ingredients: flour, sugar, salt and baking powder. Mix all of your wet ingredients together in a separate bowl: oil, milk and eggs. Mix the dry and wet ingredients together gently. Fold in blueberries. Fill muffin cups right to the top, and sprinkle with crumb topping mixture. 3. To Make Crumb Topping: Mix together all the ingredients, using your fingers to work the butter into the mixture. The butter should be broken down into less than pea size. Sprinkle over muffins before baking.